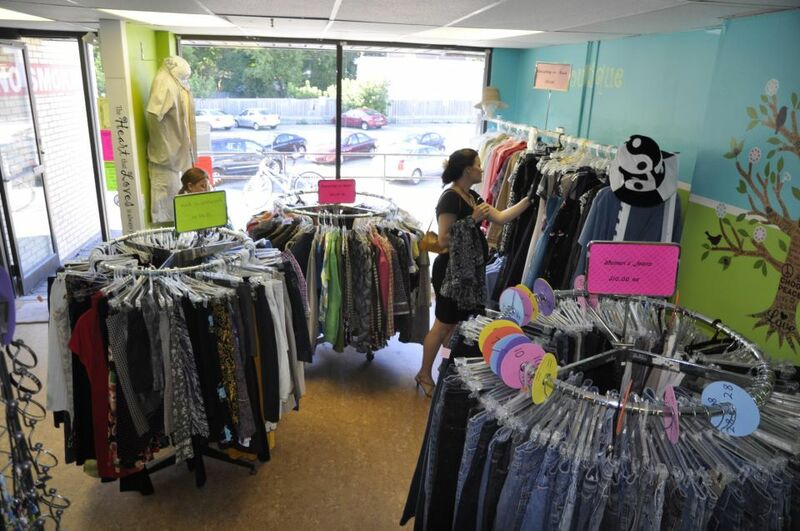 Regular readers know Off the Rack and Barrie’s Free Clothing Centre. Hopefully, you’ve had a chance to visit, shop, donate items, or even volunteer. But if you haven’t, now is the time to experience Off the Rack (OTR) as they host their first-ever “Off the Hook Fashion Soiree”. Held at and in partnership with the D.I.Y. Collective at 67 Toronto St., this event at 7 PM on Saturday July 6 will showcase some of the amazing clothing coming out of the efforts at OTR to rework, repurpose, and recycle old clothing in new and exciting ways. This fun fashion show put together by OTR volunteers Dave Reynolds and Erin Colella promises unique apparel and fashion accessories and will include children and adult models showcasing a wide range of items, all from Off the Rack. Repurposed clothing includes aprons made from blue jeans, dresses out of pillow cases, shopping bags from all kinds of cloth and many other clever ways to avert clothing from landfill. There will also be great live music and food, plus select items from Off the Rack will be displayed around the walls to take home for a small fee. And whether or not you can attend this special soiree, you should certainly add Off the Rack to your regular rounds. The shop, run completely by volunteers and supported by Living Green, is full of free or almost-free items to match any wardrobe. Your donations of wearable clothing (not stained or damaged) keep the Centre running; we are always in particular need of men’s clothing, particularly shorts and T-shirts for the summer heat. Best of all, you can donate and shop in the same visit: leave us things you don’t need any more and pick up something new for you! If you’re the type who likes to learn a new skill, there are also afternoon classes in the almost-lost arts of sewing, knitting, and crochet. Spring children’s classes were a great success, combining art, crafts and dance with values and service to the community, such as hospital and senior’s visits and helping Unity Market with gardening. Watch Facebook or contact Karen to find out more about upcoming classes or indicate your interest so we can build classes around demand. If you have a working fridge to spare, the store could use that, and of course more volunteers are always welcome. Off the Rack is located at Toronto and Dunlop streets, off the parking lot behind Meineke Car Care. You can keep track of upcoming sales or special events by following our Facebook page – just search for Off the Rack Barrie and you’ll find us. Off the Hook Fashion Soiree is only $10 at the door; for $8 advance tickets, contact Karen Fox at rightmove@sympatico.ca or 705-721-6867. We look forward to joining you at this fun and exciting event in support of our community. Published as my Root Issues column in the Barrie Examiner under the title "Off the Hook Fashion Soiree the right design"